Usage of Windows XP declined in its first month without support from Microsoft, but it's not going away anytime soon. 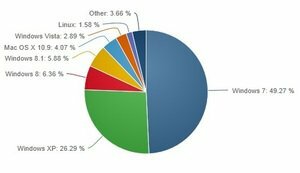 According to StatCounter, Windows XP accounted for 17.16 percent of desktop operating system usage in April. That's down from 18.61 percent in March, and from 22.75 percent a year ago. Another metrics firm, Netmarketshare, measured Windows XP usage at 26.29 percent of desktop operating systems. That's down from 27.69 percent in March, and 38.31 percent in April 2013. The two firms use very different methodologies to track usage, which is why there's such a discrepancy between them. While they both get their data from traffic to a network of websites, Netmarketshare tracks unique visits on roughly 40,000 sites, while StatCounter tracks pageviews on roughly 3 million sites. But even with the differing methodologies, the overall trend is the same: Windows XP usage made a clear move downward in April, when Microsoft ended support for the 12 year-old operating system. 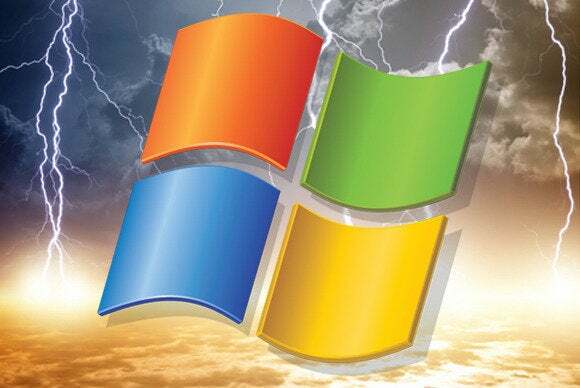 It's possible that people actually heeded Microsoft's warnings and upgraded to a newer operating system, though there are plenty of Windows XP holdouts as well. It'll be a while before XP gives up its number two spot behind Windows 7. The good news for Microsoft is that Windows 8 and Windows 8.1 usage continue to tick upward in April. The two versions of Microsoft's modern operating system combined for 13.05 percent of usage according to StatCounter, and 12.24 percent of usage according to Netmarketshare. Windows 8.1 saw a greater percentage gain last month than any other desktop operating system, and is already close to overtaking the stagnant Windows 8, according to both metrics firms. That means people are either buying PCs with Windows 8.1 pre-loaded, or taking the extra step of updating for free to the latest version. In any case, Microsoft has a great opportunity to serve those users by delivering more automatic updates, such as the Windows 8.1 Update that arrived last month. If Microsoft can change users' expectations on how and when to update their computers, it may be able to avoid more XPocalypse-style events in the future.